If there is a foodie heaven, it is here on earth, at this very moment!! The epicenter is Ireland. This past weekend I had the pleasure of attending the Ballymaloe Lit Fest, as I mentioned in the last post. And I also met the amazing Yvette van Boven who is this week’s Woman Crush Wednesday. Though she won’t be surprised when she finds out. I mentioned it when I saw her at the Lens and Larder talk in which she participated. This is actually the first time since I started this series that I have told the chef in advance of their honor. Which to recap, Yankee Doodle Paddy has seen 30 gorgeous gourmet gals grace this blog with their culinary expertise. What I find so incredible about Yvette is that she is not only a chef and cookery book writer, but also a sought after food stylist, illustrator and magazine contributor. She is oozing with creativity that is quite inspiring. 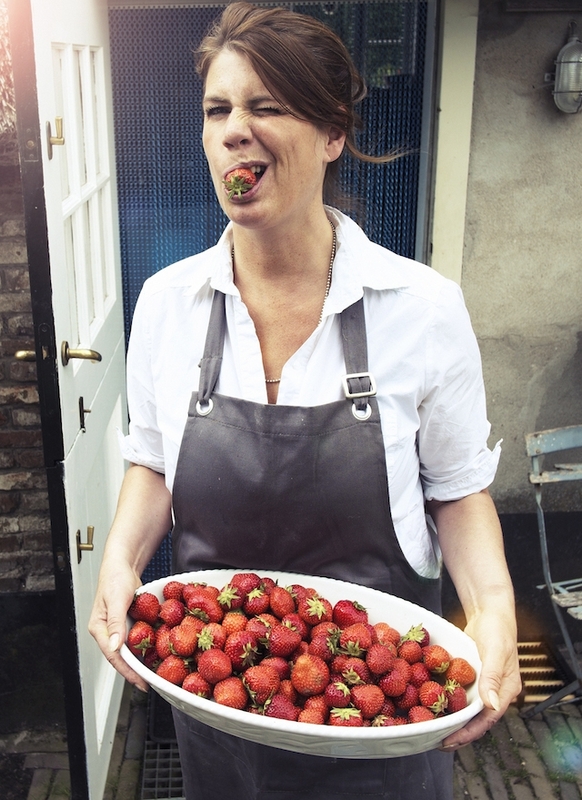 Her book Homemade is world famous for its tasty recipes, sensual food photography (by her husband Oof Verschuren), along with whimsical drawings and lettering. It is beyond just a cookbook, it is an adventure that leaves you wanting more. Lucky for us she has followed that up with other books just as delectable and there is even a companion notebook to guide the dedicated fans along the journey! 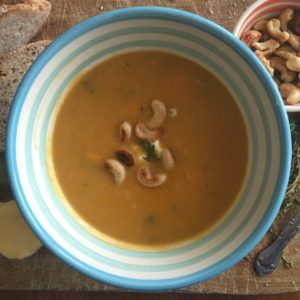 And for today’s #WCW journey I am going to re-create Yvette’s Sweet Potato Soup with Buttered Cashew Nuts recipe. So let’s get to it then shall we? Braise the onion, leeks, sweet potatoes, and garlic in the butter and add the white wine. Blend in the broth as well as the bay and cayenne pepper. Simmer on low heat for 25 minutes. Remove half of the vegetables from the pan and purée the other half with a hand blender. 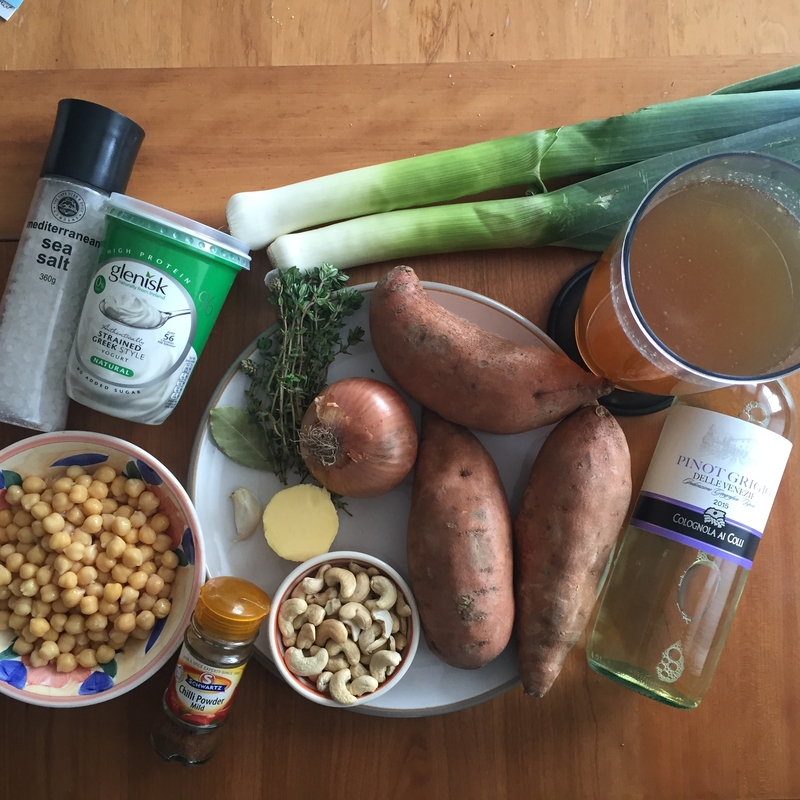 Replace the removed vegetables and add the chickpeas and a few leaves of fresh oregano. Serve the soup in individual large bowls, each with 1 tablespoon cashew nuts (briefly fried in the butter and sprinkled with a little sea salt) and a generous dollop of crème fraîche. Can I just tell you how delicious this soup is? I was really delighted with how it turned out and will surely be making it again for my Hubby since he is at home in London as I write this. I am in Dublin, which if you watch on snapchat you’d know (my username is blissbakery) as I did the tutorial live here in my friend’s house. Anyway, this soup is light and at the same time filling. 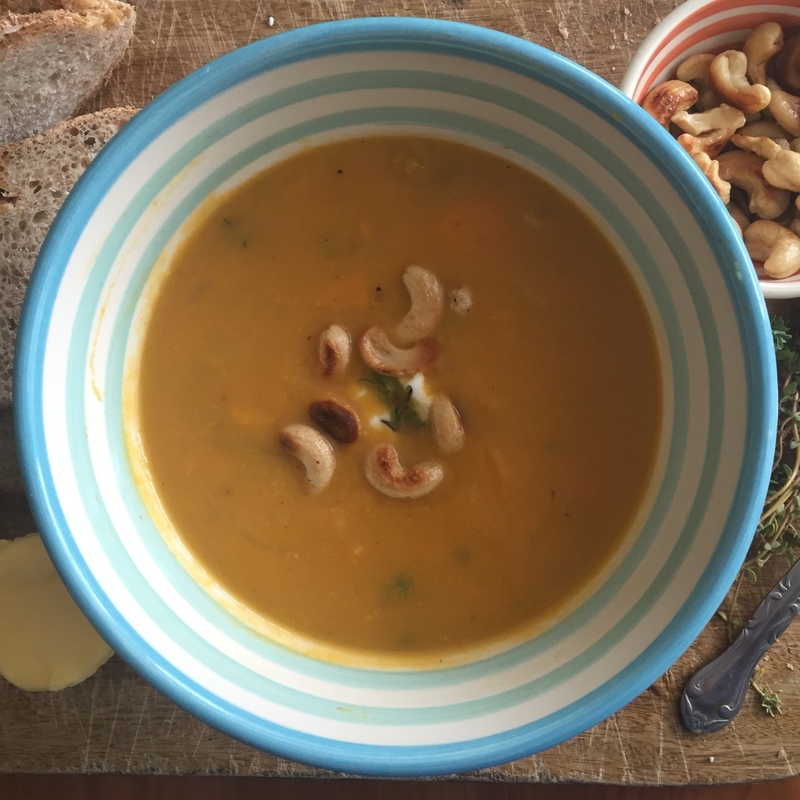 I love the textures in it, with the crunch of the cashew nuts and the chunks of veg. It isn’t too complicated and can be made in no time at all. And there’s plenty for a hearty family dinner if served alongside some crusty bread (I served it with sourdough). Perfect for a nice lunch too. I am a massive fan of sweet potato and it has so many health benefits. As part of Woman Crush Wednesday, I always make a recipe that I haven’t made before. So while I have made many of Yvette’s other fab dishes, I especially love her lentil and apple salad, I decided a nice soup was in order since I am in Dublin. It is the soup capital of the world I think! Even in summer it can be cold here and having loads of soup recipes in one’s arsenal is important. So thank you Yvette for providing me with my new fav! While I don’t have my own copy of her book with me, I do have this photo (below) to share. 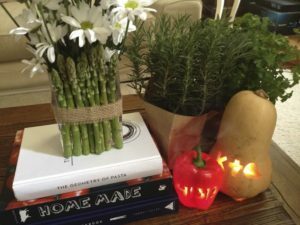 I used the book at a foodie themed rehearsal dinner party that I put together for my son and daughter in law. I used it as one of the centerpieces. It’s quite substantial and I love the colors of the book cover too. I would recommend the book to anyone wanting to learn how to make things from scratch but needing the proper guidance. Yvette goes step by step (and her drawings are very helpful along with the photos) on how to make things such as cheese and ice-cream. This pic was just a practice one when I was doing a mock up of the table scape, the full story of the party and pics can be found at Koko Likes . But I only include it to share that the LOVE and collaborative friendship I have with my Hubby, and indeed my son and his wife have, reminds me of what Yvette and Oof also embody. It is something that is so important for a working woman to have, whether a chef, teacher or sales assistant. Women need support! The saying, “behind every good man is a good woman” can easily be turned on its head in this instance. 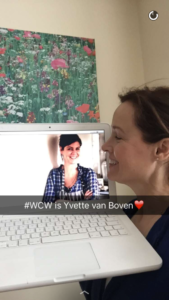 I am sure Yvette’s support from her husband is so vital to her ability to expand and push the boundaries of her work. And for that I am so grateful to both of them! We all reap the rewards! 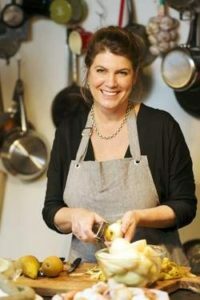 So thank you Yvette and also Oof, for your love and passion for food. You are leading the way to a greater appreciation for not only tasty cuisine, but also capturing its natural beauty in pictures. They will live long beyond the actual meal that is savored, but the images and recipes will continue to provide inspiration. P.S. Thanks to my dear friend Ali for allowing me to do my Woman Crush Wednesday tutorial at her home. 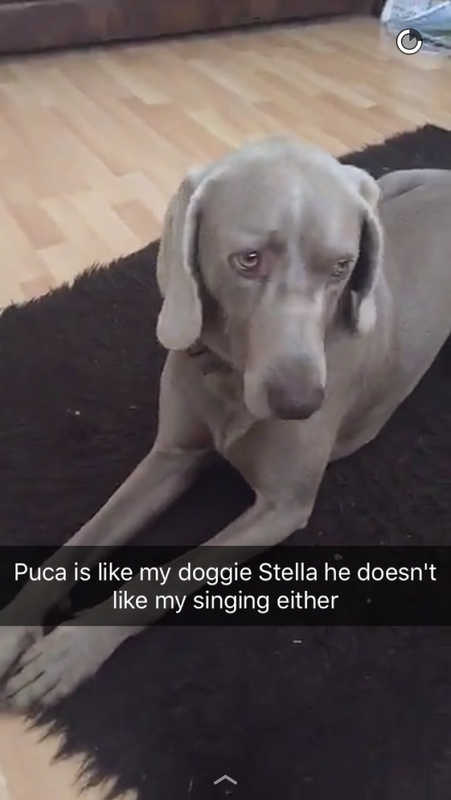 And also thanks to her dog Puca for putting up with me.